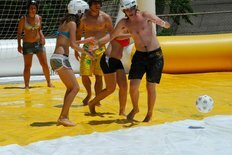 AYIA NAPA ISN'T ALL ABOUT PARTYING! 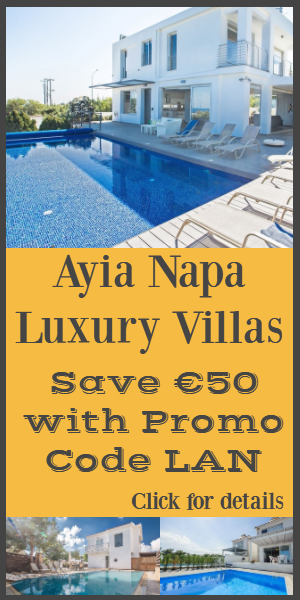 In the last decade Ayia Napa has shed some of it's rowdy image and is now attracting increasing numbers of families with children. 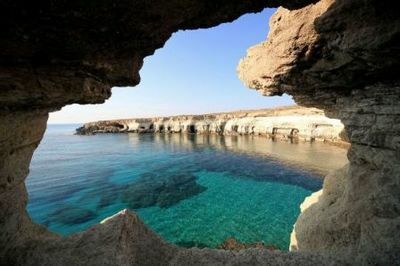 There's no need to miss out on Ayia Napa's fantastic beaches and numerous attractions just because you have heard that it's a clubbing destination. Yes Ayia Napa does have lots of nightclubs, but they are all in one area of the town (around the square) and generally don't open until 1am, by which time your children will most likely be fast sleep. Yes there are also lots of loud bars blasting out the latest music but again these are concentrated mostly in one area and don't get busy until after 10pm. Ayia Napa is a fairly large town so if you don't take your children into the main square and it's adjoining roads after around 10pm then you may not even realise that there is a busy club scene going on at all. 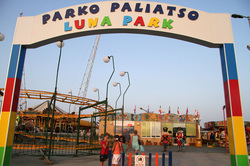 Parko Paliatso Luna park is a family owned funfair in the heart of Ayia Napa, on Nissi Avenue. 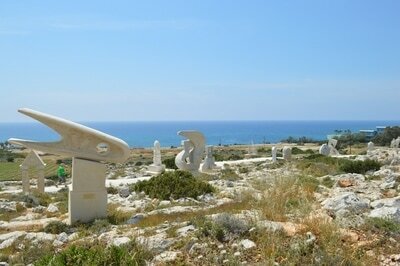 It opened in 1999 and today covers an area of 25,000 square metres with more than 25 attractions. For smaller children there is a large indoor play area and plenty of rides to enjoy, such as bumper boats, tea-cups, trampolines and carousels. 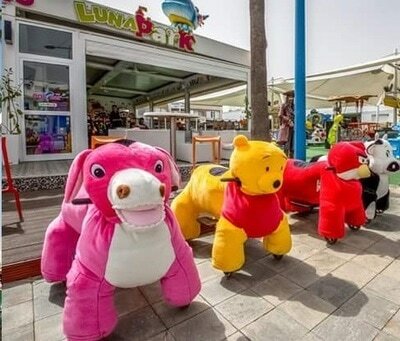 For older ones there also exciting rides such as Blizzard, Viking pirate ship and a rodeo bull. Traditional fairground entertainments such as rifle shooting and darts can also be found here. Parko Paliatso is also home to the adrenalin ride Sling Shot which shoots riders 80m into the air in 2 seconds and it's illuminated prongs can be seen from all over town. Together with the almost as tall free fall ride and the big wheel, adrenalin junkies are well catered for. There is plenty of parking available plus two cafeterias for dining and refreshments. 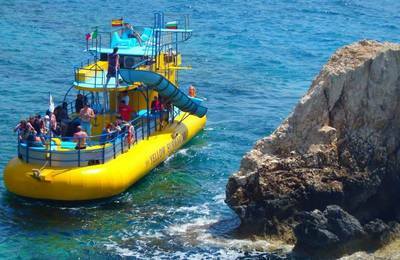 There are plenty of boat trips which depart daily from Ayia Napa harbour. 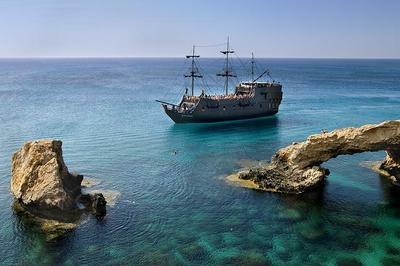 They almost all sail in an easterly direction towards the sea caves, Cape Greco, Protaras and Famagusta, depending on the length of the trip. 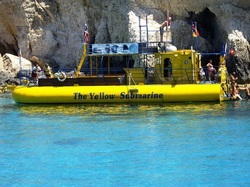 Popular with families are the shorter glass bottom boat trips such as the yellow submarine where the underwater world is revealed without getting wet. 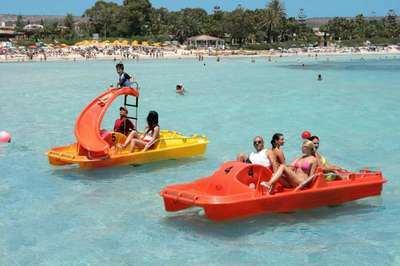 For older children the adventure of the Dolphin Boat Safari aboard a speedboat may be more exciting. Especially good for younger children is the Discovery boat which provides a little more entertainment including parrots and commentary on the journey. Black Pearl Pirate boat gives wannabe pirates the chance to hang out with Captain Jack Sparrow. 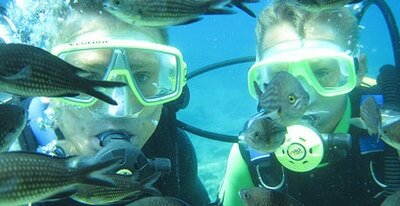 All trips allow time for swimming stops and some provide snorkelling equipment for use. 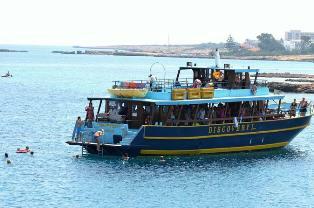 Read more about Boat Trips from Ayia Napa. Mini-golf can be found at Seasons family entertainment centre opposite McDonalds, just off Nissi Avenue. They also have a go karting track, trampolines and other family activities. 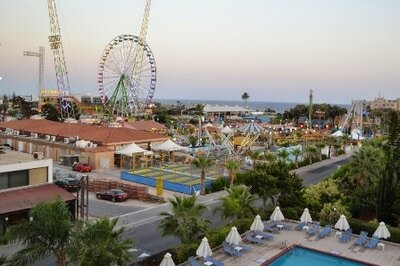 There are numerous bars in Ayia Napa which welcome families and are suitable for an evening out with children. Themed bars such as Bedrock Cafe have Karaoke and other singers whilst bars such as Tommy's by the traffic lights and Queen Vic by the harbour provide nightly, family friendly shows including tribute acts, magic shows, hypnotists and parrot shows. 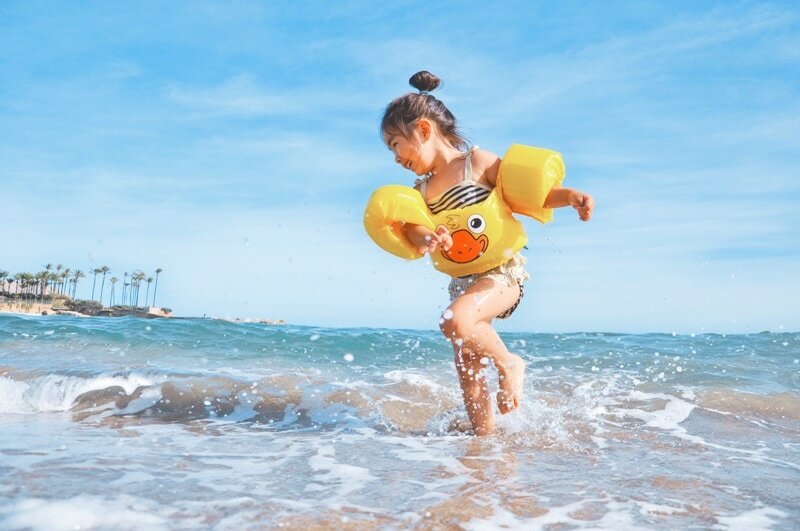 Most restaurants in the Nissi beach area also have large play areas for children which allow families to relax after eating. Read more about Family Friendly Bars in Ayia Napa. 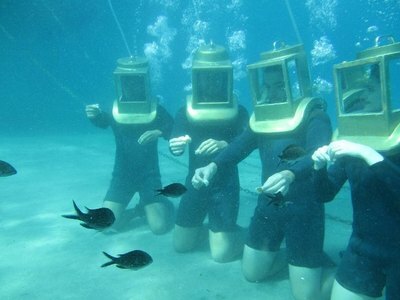 Thalassa Musuem is located close to the centre of town and is open year round. 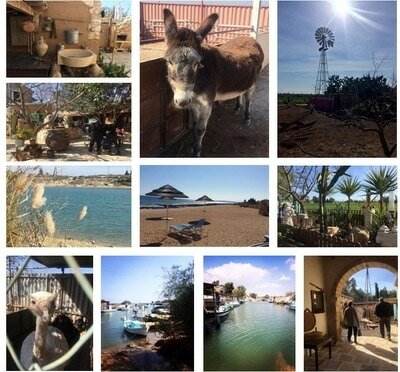 It has numerous exhibits including items relevent to the history of Ayia Napa and Cyprus in general such as stone age artifacts and examples of pottery and jewellery from various periods of history. A careful reconstruction of the famous Kyrenia boat which was discovered off the coast of Cyprus 40 years ago is present and most interesting to children is the basement level which is dedicated to sea life. 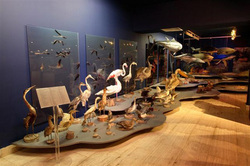 Containing prehistoric fossils and a huge array of stuffed sea creatures it is a worthwhile way to spend an hour or so out of the heat of the day or during the cooler months when rain showers can occur. 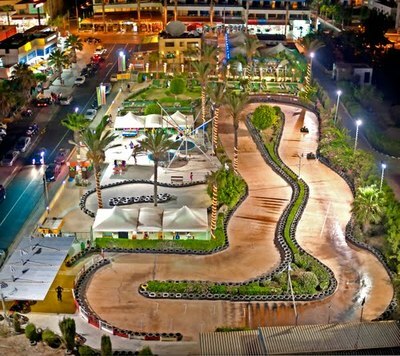 Ayia Napa has three go kart tracks. Seasons's go karts is a small track ideal for younger children and is located opposite McDonalds on Nissi Avenue. The two other tracks are larger and suitable for older children and adults. 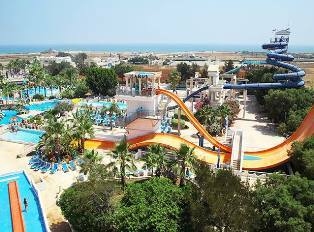 The first is located at Parko Paliatso funfair off Nissi Avenue and the second is EMW go karts which is next to Waterworld Waterpark at Macronissos beach at the western edge of town. 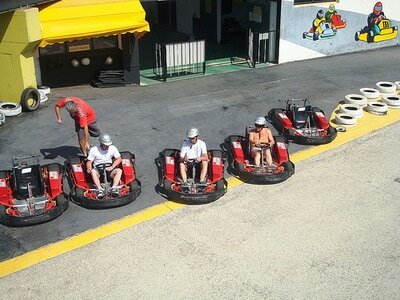 Find out more about Go karts in Ayia Napa.